As well as having our location on the Spaarndammerstraat, Restaurant Freud can also provide you with delivery services upon request. 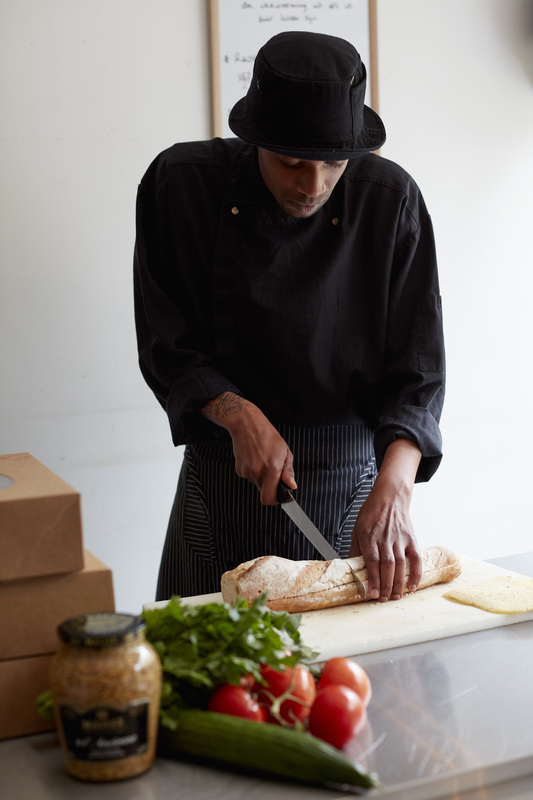 Our team takes pride in catering for your lunch or get-together, so you can enjoy our good service anywhere. 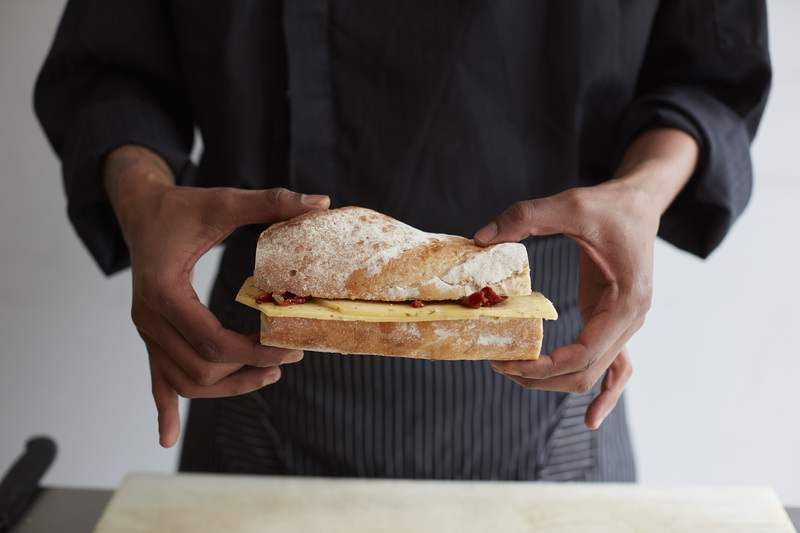 For lunch we offer a wide variety of luxurious sandwiches, soups, tortilla's and salads. We can also provide you with sweets and healthy snacks. For the get-together, we offer small dishes of fish and meat, including vegetarian and vegan meals. We will happily take food allergies and diets into account. Are you looking for service at your location? This is also negotiable. Feel free to ask for the suggestions and possibilities. 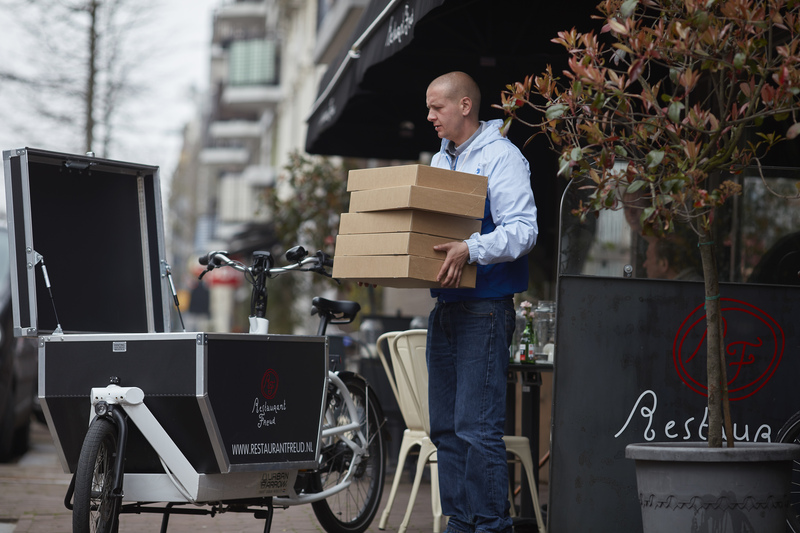 We will gladly deliver to you using our electric push-bike in the Amsterdam region. Is your location outside of the region? In that case our partner Roads Vervoer will deliver to you. Catering is often a precise task. Request your order form by e-mailing catering@resturantfreud.nl and we will see what we can do for you.